HIV drug resistance is approaching and exceeding 10% in people living with HIV who are about to initiate or reinitiate first-line antiretroviral therapy, according to a new study led by researchers at UCL and the World Health Organization (WHO). The study, published today in The Lancet Infectious Diseases and funded by the Bill & Melinda Gates Foundation and the WHO, was the largest meta-analysis to date on HIV drug resistance. The researchers looked at data for people who were beginning antiretroviral therapy, and found that resistance - particularly to one of the main types of first-line drug, NNRTIs - is increasing and those who exhibited drug resistance were more likely to have previously been exposed to antiretroviral drugs, often during pregnancy. 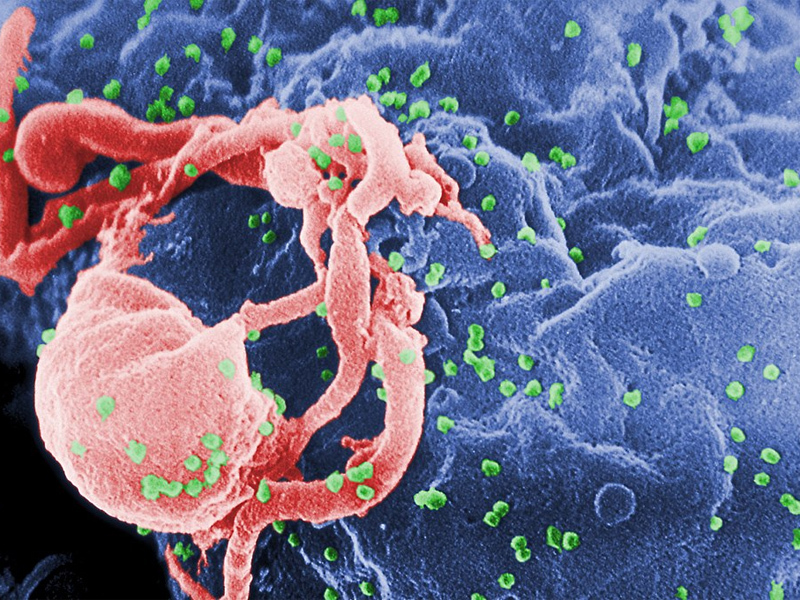 "Treatments for HIV have improved immensely in recent years, and close to 21 million people worldwide are now being treated with antiretroviral therapy. * Yet to end the AIDS epidemic as a public health threat, minimising drug resistance will be one part of the response. Our findings show the importance of improving how we monitor drug resistance, and suggest we should review which drugs are included in first-line therapies," said the study's lead author, Professor Ravindra Gupta (UCL Infection & Immunity). Current WHO treatment guidelines for first-line therapy recommend non-nucleoside reverse transcriptase inhibitors (NNRTI) in combination with nucleoside reverse transcription inhibitors (NRTI). The research team focused on studies that included data on the presence of drug-resistant mutations in the virus, most commonly resistant to NNRTI drugs. The research team found that, from 2001-2016, the odds of drug resistance in low- to middle-income countries across Sub-Saharan Africa, Latin America and Asia were increasing. In particular, the yearly incremental increase in NNRTI resistance was greatest in Eastern Africa (29% annual increase) and in Southern Africa (23% annual increase, with an absolute increase of 1.8 percentage points from 2015 to 2016) and was the smallest in Asia (11% annual increase). The study authors found drug resistance to be highest in Southern Africa, where 11.1% of people beginning first-line therapy had a virus with NNRTI drug-resistant mutations, compared to 10.1% in Eastern Africa, 7.2% in Western/Central Africa, and 9.4% in Latin America. The study team also found that people starting therapy who self-report previous use of antiretroviral drugs are more likely to carry resistant virus, and are at greater risk of virological failure - that is, the risk the virus won't be adequately kept under control by the HIV treatment. Their data suggests that in some areas, 10-30% of people presenting for antiretroviral therapy have previously been exposed to antiretroviral drugs. "Many people develop drug resistance after being treated by antiretroviral drugs if they stop taking their medication - often due to personal reasons, difficulty accessing treatment providers, or drug supply issues that are common in low income regions. When these individuals restart treatment at a later date, they are less likely to respond to therapy and may pass on the drug-resistant strains to other people," explained Professor Gupta. However, a way forward exists and is being proposed by the World Health Organization. In July 2017, WHO published a new HIV drug resistance report, based on drug resistance national surveys conducted in 11 countries in Africa, Asia and Latin America. **** The report's findings concurred with this broader meta-analysis' results and showed that in 6 of the 11 countries surveyed over 10% of people starting HIV treatment had drug resistant strains. "If we are to combat HIV drug resistance, we must ensure countries can do a good job in monitoring and responding to it when needed," said co-author Dr Silvia Bertagnolio of the World Health Organization. "New WHO guidelines and a global action plan aim to help make this happen." WHO's guidelines on pre-treatment HIV drug resistance recommend that countries switch to more robust first-line treatment when levels of resistance reach 10%. The five-year Global Action Plan calls on all countries and partners to join efforts to prevent, monitor and respond to HIV drug resistance and to protect the ongoing progress towards the Sustainable Development Goal of ending the AIDS epidemic by 2030.